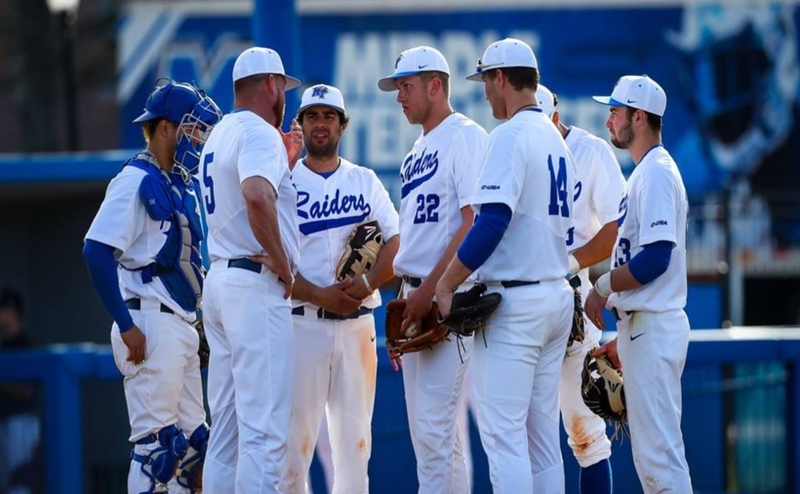 The Middle Tennessee Blue Raiders (20-27, 7-17) couldn’t avoid the sweep on Sunday afternoon, losing 10-9 in the series finale against UTSA (25-21, 10-11). Down 8-3 after the fifth inning, the Blue Raiders faced another large deficit but fought back and took the lead 9-8 in the seventh inning. They weren’t able to maintain the lead however, giving up two in the eighth to give UTSA the runs they needed to win the game. 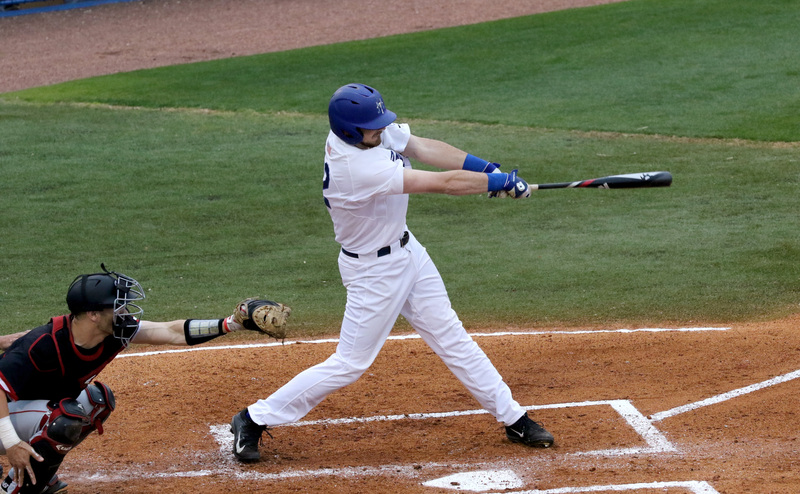 A tight game saw Middle Tennessee winning 3-2 going into the bottom of the fifth. 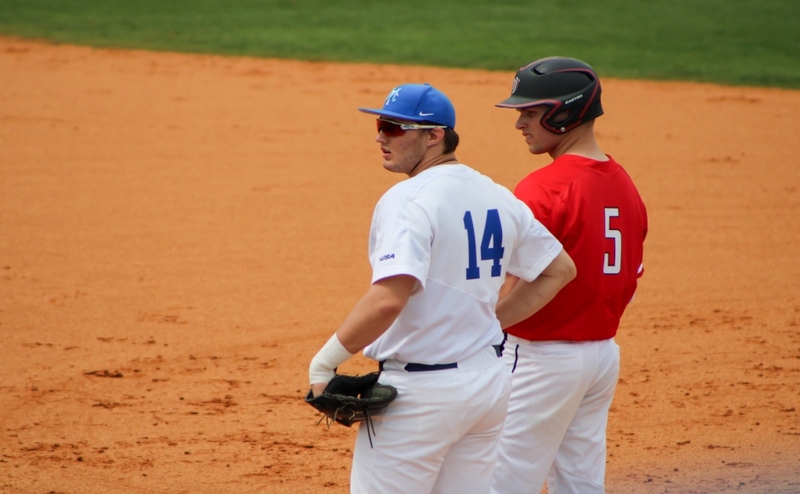 As has been the case with the Blue Raiders defensively this season, the Roadrunners took advantage of some key mistakes and put together a big, six-run inning to take an 8-3 lead over MT. 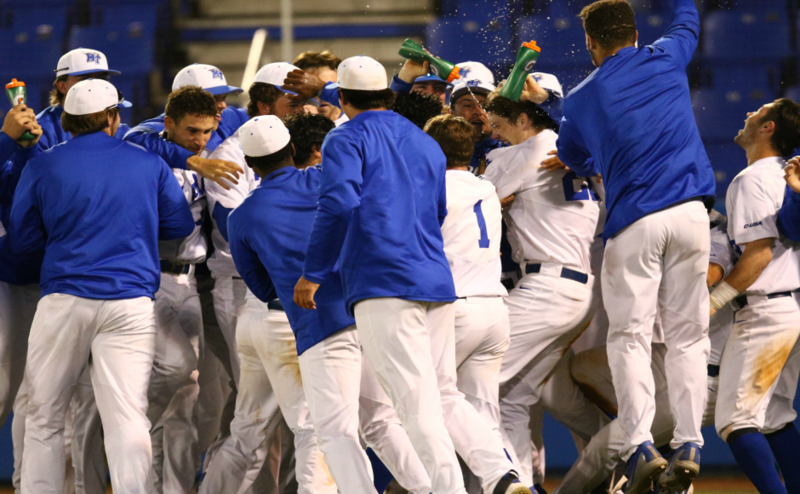 With their backs against the wall, the Blue Raiders began fighting back in the top of the sixth inning. Senior first baseman Kaleb King doubled and advanced to third on a wild pitch. Sophomore third baseman Drew Huff brought King in with an RBI single to center. Sophomore outfielder Blake Benefield followed with a two-run home run, cutting the Roadrunner lead to 8-6. Catcher Chaz Vesser singled, and was advanced to second on a second wild pitch of the inning. After advancing to third on a single from senior shortstop Riley Delgado, Vesser scored on a sacrifice fly from senior outfielder Brad Jarreau and putting the Blue Raiders within one run of UTSA at 8-7. 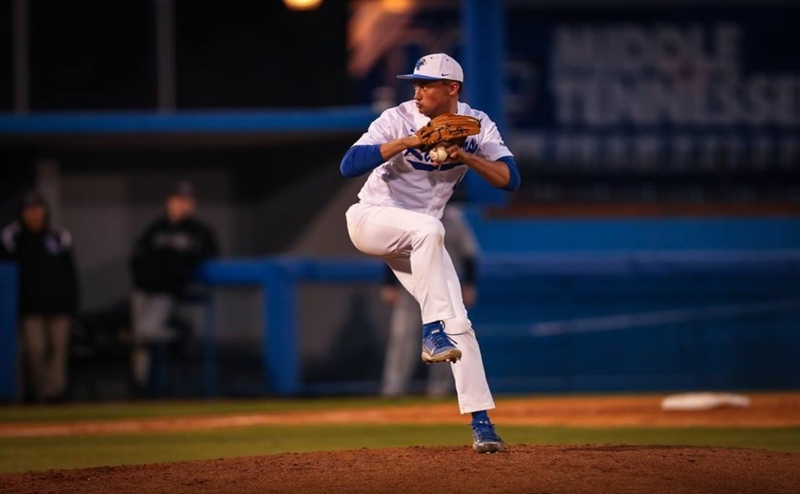 The Blue Raiders held the Roadrunners scoreless in the bottom half of the inning, keeping the momentum in the visitor’s dugout. Sophomore outfielder Austin Dennis led off with a walk and promptly stole second. Following a King single that pushed him to third, Dennis scored on a double play ball hit by Huff to tie the game. Benefield hit a two-out double to keep the inning alive, and scored the go-ahead run on a Vesser single that gave the Blue Raiders a 9-8 lead. The lead lasted only an inning, as UTSA took the lead in the bottom of the eighth with two runs that proved to be enough to win as the Roadrunners completed the sweep with a 10-9 victory over the Blue Raiders. MTSU will be back at home against Tennessee Tech on Tuesday at 6 p.m. Follow MTSU Baseball beat writers Anthony Fiorella (@A_Fiorella74) and Ryan Nixon (@RNixon32) on Twitter for more coverage.